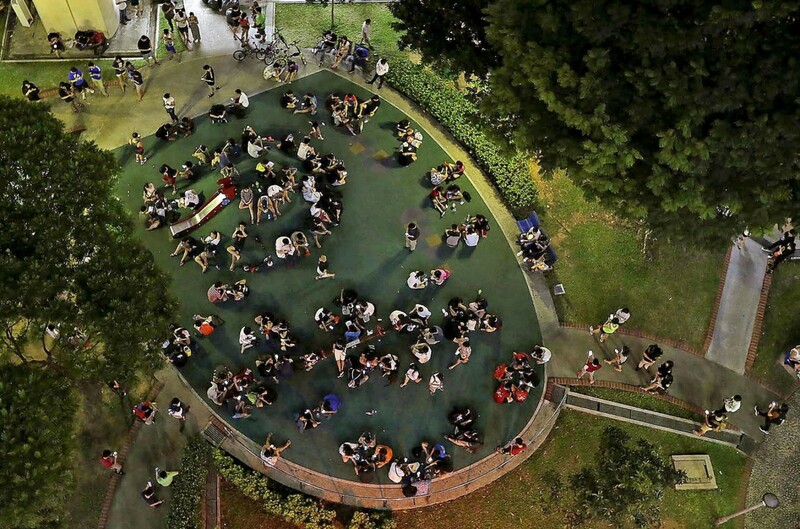 Pokémon GO mania has hit everyone hard and it has, more or less, unofficially become our national pastime. With its release two weeks ago, its timing was seemingly perfect in lieu of the National Day holiday and the free mobile data that came with it. Hordes of people from young children, to millennials who grew up with its Gameboy version, and even to your neighbourhood aunties and uncles, everyone is hooked onto this game – all having the common objective that they die die want to achieve – to “Catch ‘Em All”. 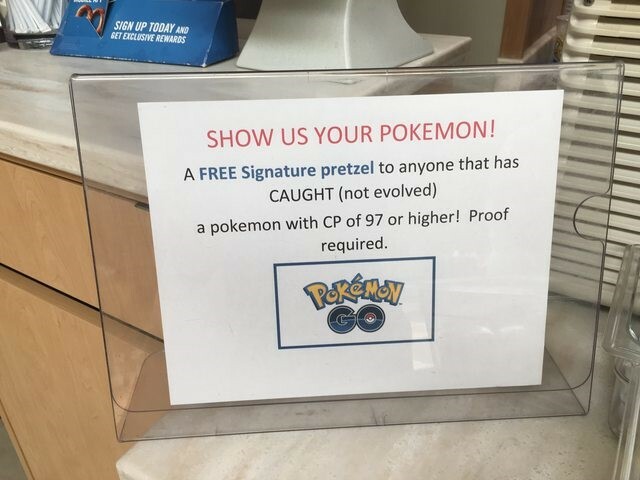 So, it comes as no surprise that local businesses are initiating marketing ploys in record time to take advantage of the buzz Pokémon GO has generated literally overnight. Some had even started before the game officially launched here. 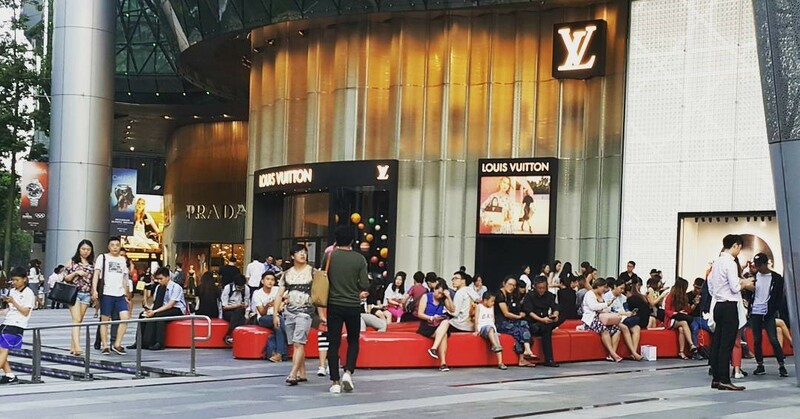 CapitaLand is perhaps, the who one who started it all locally, most prominently, with the open declaration over at ION Orchard that they will be actively be putting up lures, while at the same time, run an Instagram contest where players can submit to win shopping vouchers. And lure Pokémon GO they did as almost immediately, the benches outside the mall started to become crowded with people loitering around the Pokéstop there. And CapitaLand didn’t just stop at ION either as they too rolled out a similar contest for all of their other malls on Instagram as well. With this they not only encouraged footfall into all of their properties, but also added an element of interaction with the players. 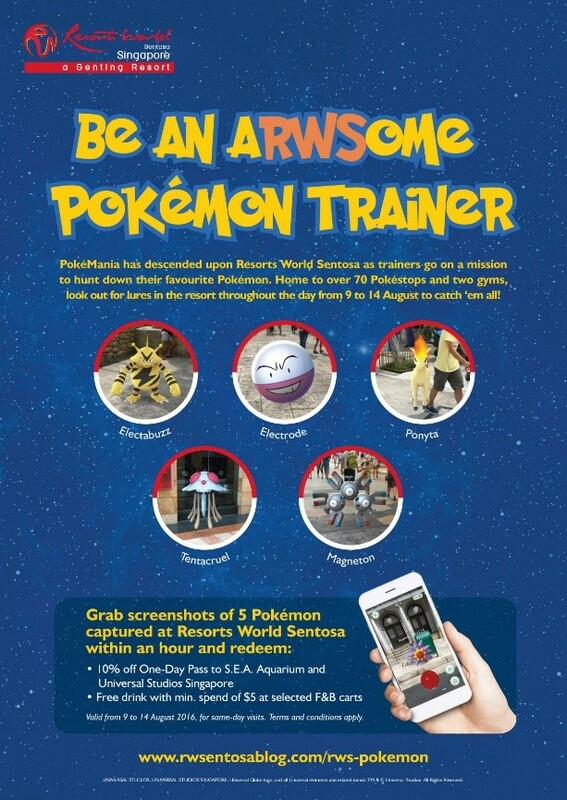 Resorts World Sentosa though took it up another notch. 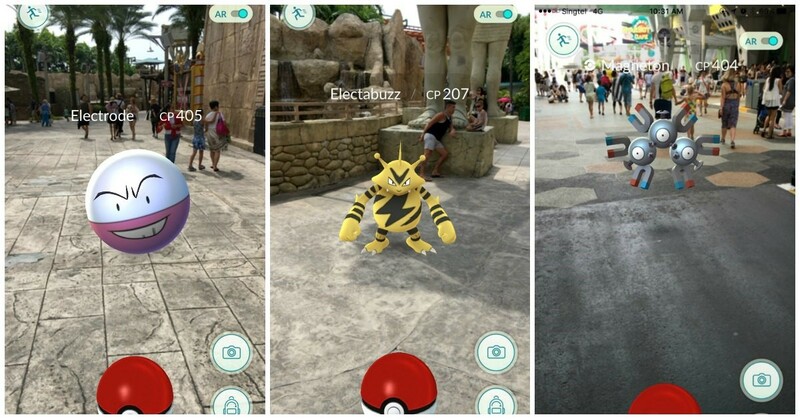 On top of just revealing on social media where visitors are able to find specific Pokémon, they are also offering 10 per cent discount off admission ticket prices to Universal Studios Singapore and S.E.A. Aquarium if you are able to show a screenshot of Pokémon you’ve caught around RWS. Well it also helps that RWS is also a Pikachu spawning ground, naturally bringing in fans of the creature. Lastly, here’s Singtel. 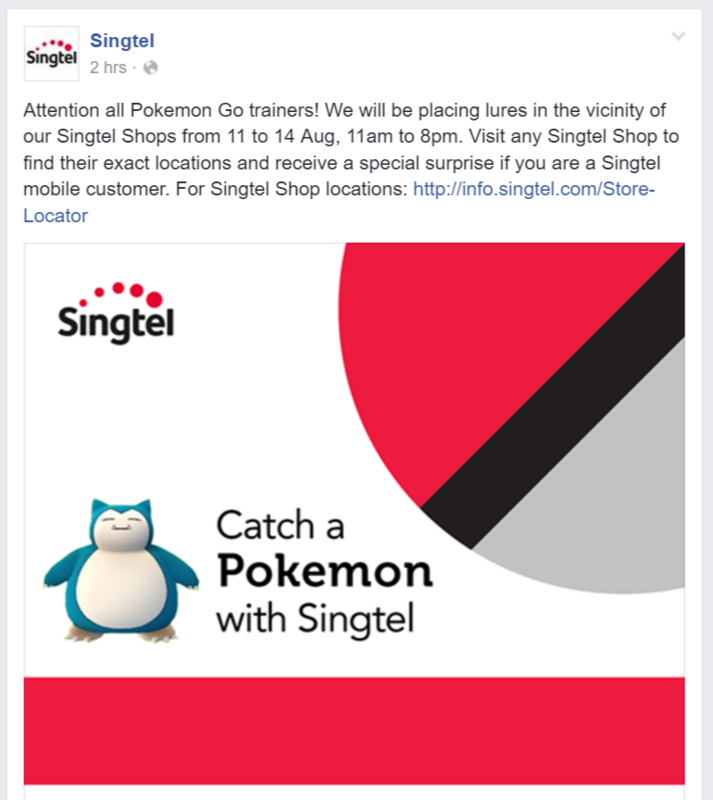 They have announced that Singtel shops this week will be putting up lures in their vicinity during their opening hours. 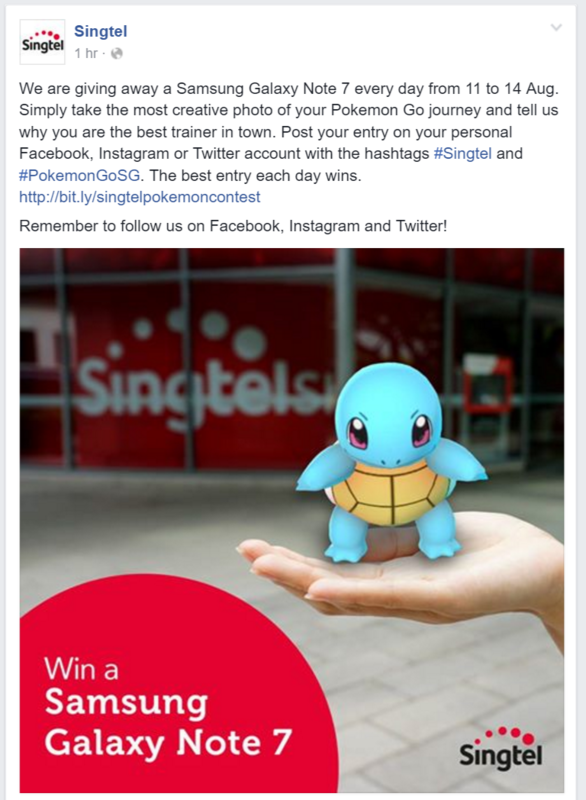 What’s more, they will also be giving out surprises for Singtel customers. Also as part of their Pokémon GO campaign, they are dangling the recently announced Samsung Galaxy Note 7 as part of a social media contest that will be hosted on Facebook, Instagram, and Twitter. Pokémon GO has this ability to naturally bring together people to converge on specific locations, so it may not come as a surprise that in due course, sparks may fly between two complete strangers. 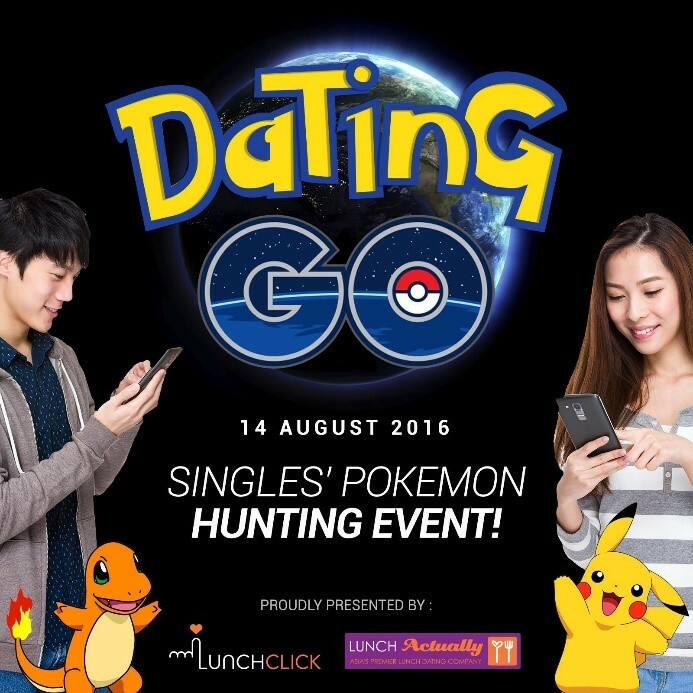 Dating app LunchClick saw this opportunity and have even created a singles event this weekend where you can fill up your Pokédex, as well as meet someone who will help you be the very best that no one ever was. 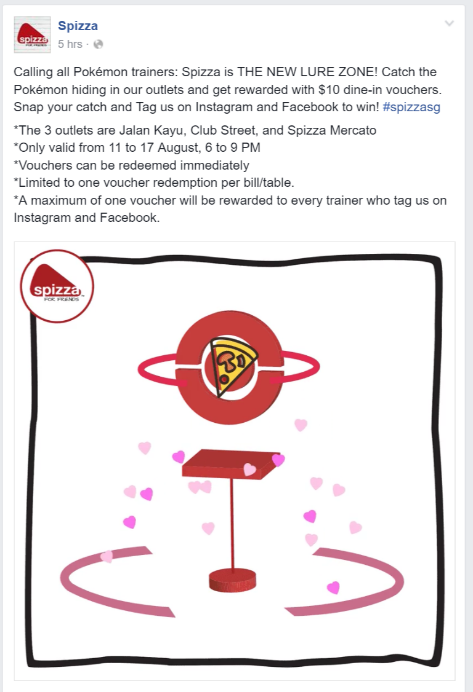 Pizza parlour, Spizza too is giving away discount vouchers to players with their own social media promotion, under one condition, you have screenshot Pokémon you captured in their restaurant and upload it on Facebook or Instagram with the hashtag #‎spizzasg‬. Better still, players will be able to receive the vouchers on the spot and use it on their bill immediately. 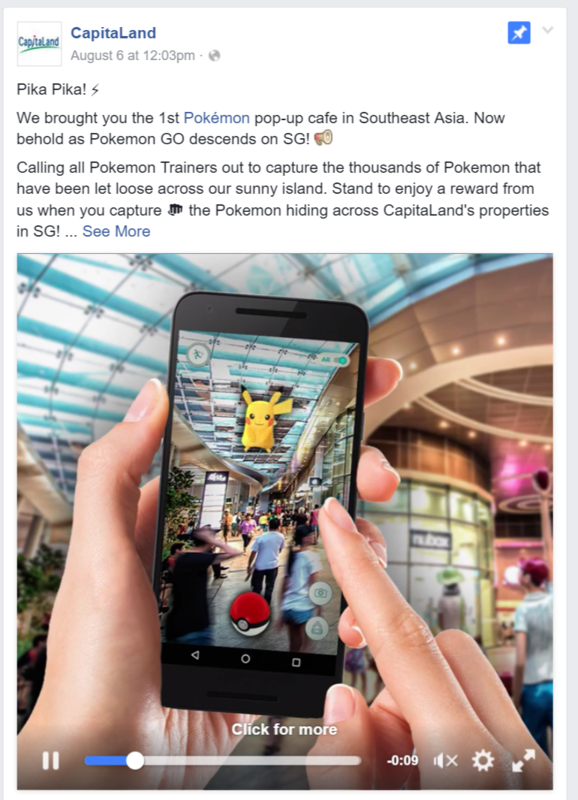 We all know that some of the rarer Pokémon can be found in the more inaccessible parts of Singapore, but we totally didn’t see this coming. 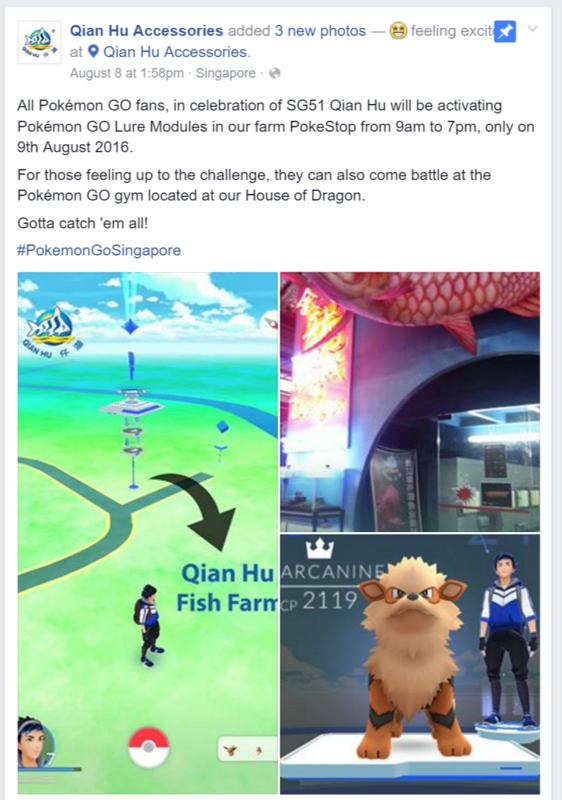 Qian Hu, locally famous for being one of the best ornamental fish farms around, used the past National Day to draw in more crowds with the help of the one Pokéstop and one gym that is found in their property. Now How Can Your Business Tap Onto The Craze? This is something you cannot run away from. You must play it to understand the mechanics. From there you will understand how the user experiences life in Augmented Reality, and more importantly, what drives players to locations. You can do this via two ways. One is to of course open up the app once you are in the office, and look around from within the app. 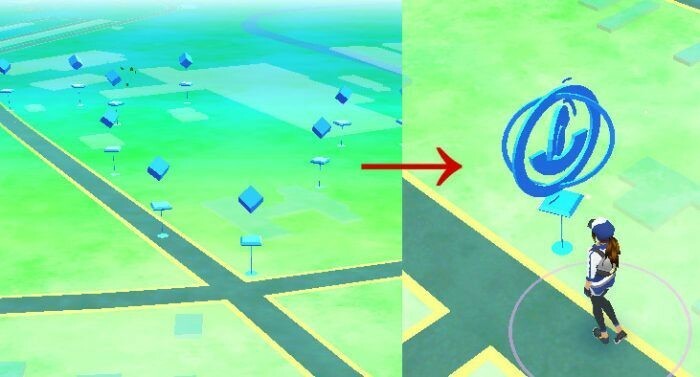 If you see this then it’s a Pokéstop. The second way is to search Google for crowdsourced maps that denotes where players have encountered Pokéstops and Gyms, like this one. 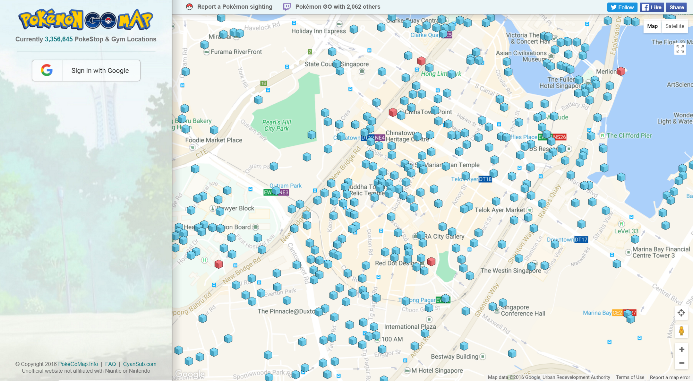 Open up the map in your browser, and you will be greeted with an overwhelming amount of Pokéstops and Gyms worldwide. Search for your location in Singapore. 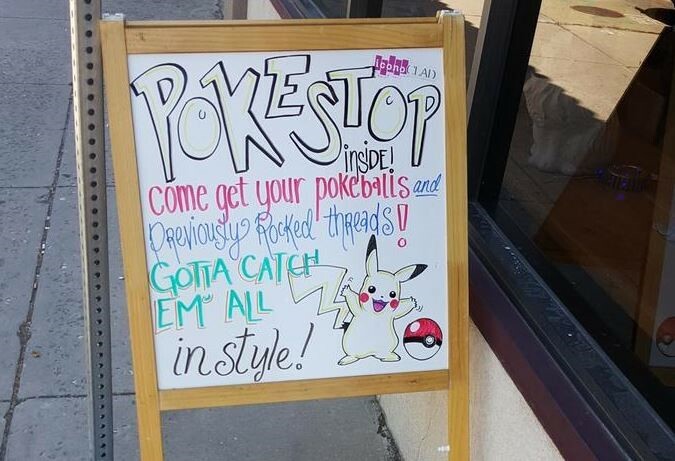 As you’ve seen from the previous examples, the most common way that businesses are capitalizing on footfall is through the use of lures at Pokéstop which are located in or around their vicinity. 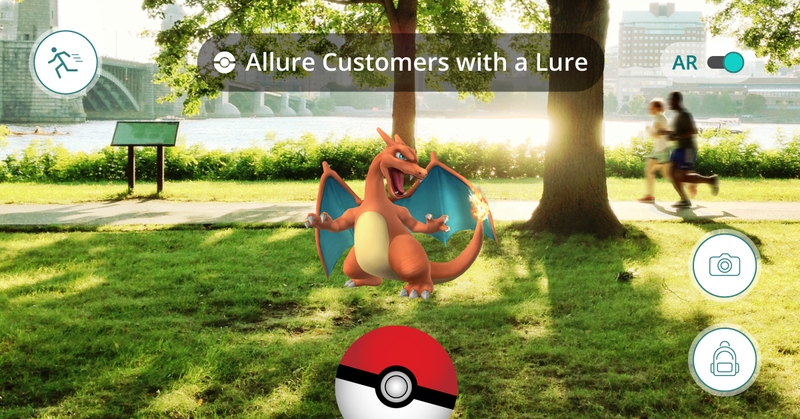 On top of just lures, some also run contest and promotion that tie in with the in-game elements – eg. Catch X Pokémon to get a gift. While there are also retailers who offer arguably the two more important services that players will appreciate more, Free Wifi Hotspots and Charging Points for their devices. Which route you end taking is totally dependent on yourself, or you may just be doing all of the above but what’s for certain now is that your business stand to lose out on the large movement of crowds that could have gone past your entrance. Don’t be, because we have just the thing to be your ultimate guide when preparing your business for the exciting new world of Pokémon GO. 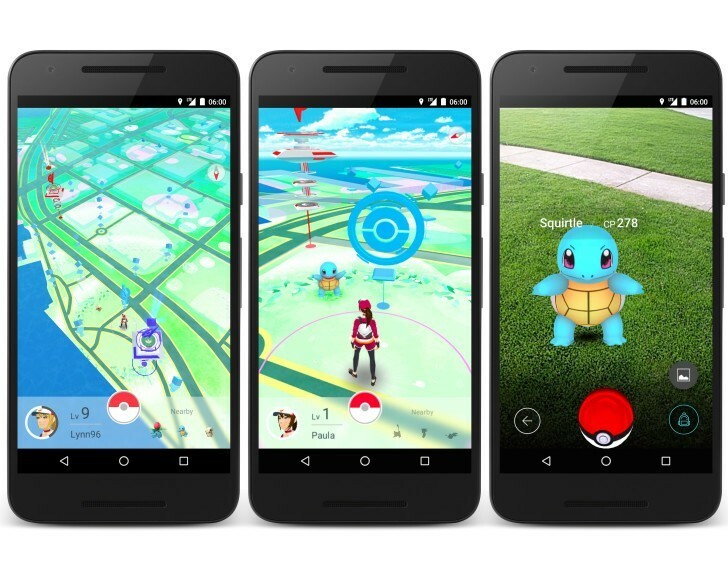 DBS BusinessClass and Vulcan Post have collaborated to develop ‘Pokémon GO’ Tips & Hacks for retailers. Click here to download the full insider report!